The aim of this study was to develop a formulation, containing the propolis standardized extract (EPP-AF®), which can assist in the healing of skin lesions. 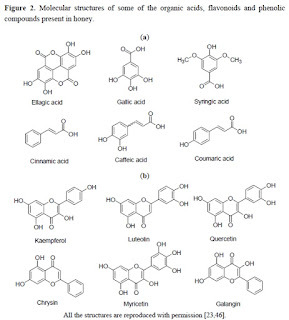 To achieve this objective the antimicrobial activity and chemical composition of the propolis extract was determined. The final product was subjected to in vitro and in vivo pre-clinical evaluation. The broth macrodilution method was used to determine the antimicrobial activity of the extracts and formulations against the microorganisms most commonly found in burns, Pseudomonas aeruginosa, Klebsiella pneumoniae, Escherichia coli, Staphylococcus aureus and Staphylococcus epidermidis. Wistar rats with puncture wounded skin were used to evaluate the wound healing properties of propolis. The results of chemical and biological characterization demonstrated the batch-to-batch reproducibility of the standardized extract which is an unprecedented result. The antimicrobial and wound healing activity of the pharmaceutical studied showed the best results when samples contain 3.6% propolis, suggesting that this is the most promising composition. The ability of honey to kill bacterial pathogens in vitro and quickly clear even chronic or drug-resistant infections has been demonstrated by several studies. Most current research is focused on identifying the bactericidal compounds in honey, but the action of the compounds discovered is not sufficient to explain honey's activity. By diluting honey to sub-inhibitory levels, we were able to study its impact on bacterial coordinated behavior, and discovered that honey inhibits bacterial quorum sensing (QS). Experiments to characterize and quantify honey's effect on the QS networks of Pseudomonas aeruginosa revealed that low concentrations of honey inhibited the expression of MvfR, las, and rhl regulons, including the associated virulence factors. This research also establishes that inhibition of QS is associated with honey's sugar content. Therefore, honey combats infections by two independent mechanisms acting in tandem: bactericidal components, which actively kill cells, and disruption of QS, which weakens bacterial coordination and virulence. The global prevalence of chronic diseases such as diabetes mellitus, hypertension, atherosclerosis, cancer and Alzheimer's disease is on the rise. These diseases, which constitute the major causes of death globally, are associated with oxidative stress. Oxidative stress is defined as an “imbalance between oxidants and antioxidants in favor of the oxidants, potentially leading to damage”. Individuals with chronic diseases are more susceptible to oxidative stress and damage because they have elevated levels of oxidants and/or reduced antioxidants. This, therefore, necessitates supplementation with antioxidants so as to delay, prevent or remove oxidative damage. Honey is a natural substance with many medicinal effects such as antibacterial, hepatoprotective, hypoglycemic, reproductive, antihypertensive and antioxidant effects. 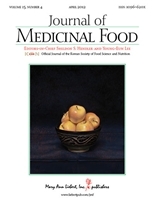 This review presents findings that indicate honey may ameliorate oxidative stress in the gastrointestinal tract (GIT), liver, pancreas, kidney, reproductive organs and plasma/serum. Besides, the review highlights data that demonstrate the synergistic antioxidant effect of honey and antidiabetic drugs in the pancreas, kidney and serum of diabetic rats. These data suggest that honey, administered alone or in combination with conventional therapy, might be a novel antioxidant in the management of chronic diseases commonly associated with oxidative stress. In view of the fact that the majority of these data emanate from animal studies, there is an urgent need to investigate this antioxidant effect of honey in human subjects with chronic or degenerative diseases. 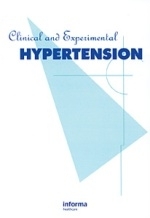 Reduction in the synthesis or bioavailability of nitric oxide plays a significant role in the development of hypertension. Propolis is a resinous product collected by honeybees from various plant sources. Tyrosine hydroxylase (TH) is the rate-limiting enzyme in the biosynthesis of catecholamines. The aim of this study was to examine the effect of propolis on blood pressure (BP), TH, and total RNA levels in the adrenal medulla, heart, and hypothalamus tissues in chronic nitric oxide synthase (NOS)-inhibited rats by Nw-nitro-l-arginine methyl ester (L-NAME). Rats received NOS inhibitor (L-NAME) for 15 days to produce hypertension and propolis for the last 5 days. TH activity and total RNA levels significantly increased in adrenal medulla, heart, and hypothalamus tissues in L-NAME-treated groups. TH activity and total RNA levels of L-NAME+propolis-treated rats reduced compared with L-NAME-treated groups. 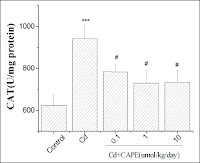 TH activity in propolis-treated rats was reduced to the control values. L-NAME led to a significant increase in BP compared with the control group. Propolis administration to L-NAME-treated rats reduced BP but this was not statistically significant compared to L-NAME-treated groups. These results suggest that propolis decreases TH activity in NOS-inhibited hypertensive rats and thereby may modulate the synthesis of catecholamine and BP. Asian Apicultural Association (AAA) assists in communication and the exchange of information between bee scientists and beekeepers in Asia. The Asian Apicultural Association chose Kuala Terengganu, Terengganu, Malaysia to be the next venue of the 11th Asian Association Apicultural Conference in Sept-Oct 2012. Appropriately, the eventing of the NBSE 2011 by the organizing committee is in preparation to the eventual hosting of the 11th AAA Conference in 2012. There is a need to coordinate the myriads of efforts on bee research, extension and diversity of beekeeping promotions and to make those efforts relevant to the business community and the people at large. The conference committee has identified the following areas as special areas of focus for the scientific presentation and discussion. Neurofibromatosis (NF) is a family of genetic diseases which are caused by dysfunction of either NF1 gene or NF2 gene. One in 3,000 people suffer from this tumor-carrying NF. NF1 gene product is a RAS GTPase activating protein (GAP) of 2,818 amino acids, which normally attenuates the GTP-dependent signal transducing activity of the G protein RAS. Dysfunction of this GAP leads to the abnormal activation of RAS, and eventually an oncogenic kinase called PAK1 as well. NF2 gene product is ''Merlin'' which directly inactivates PAK1. Thus, dysfunction of Merlin causes the abnormal activation of PAK1. In other words, dysfunction of NF1 gene (causing type 1 NF) is basically the same as dysfunction of NF2 gene (causing type 2 NF). In fact the growth of both NF1 and NF2 tumors requires PAK1, and all PAK1 blockers, synthetic chemicals or natural products, suppress the growth of these NF tumor cells both in vitro (cell culture) and in vivo (mice). However, until recently, no FDA-approved effective NF therapeutics is available on the market. Here a series of anti-PAK1 products shall be introduced, which would be potentially useful for the life-long treatment of NF patients in the future. These include the most potent HDAC (histone deacetylase) inhibitor FK228 (IC50: around 1 nM), that eventually blocks PAK1, the direct PAK1 inhibitor PF3758309 (IC50: around 10 nM), a CAPE (caffeic acid phenethyl ester)-based propolis extract called ''Bio 30'' from NZ (New Zealand), and an ARC (artepillin C)-based green propolis extract (GPE) from Brazil. Although the first two drugs are potent, none of them is available on the market as yet. The last two natural (bee-made) products are available on the market, and have been used for the therapy of NF and tuberous sclerosis (TSC) as well as many PAK1-dependent solid cancers such as breast and pancreatic cancers as well as glioma, which altogether represent more than 70% of all human cancers. Since PAK1 is not essential for the normal cell growth, propolis extracts cause no side effects. Royal jelly (RJ) is a honeybee product that contains proteins, carbohydrates, fats, free amino acids, vitamins, and minerals. RJ has been reported to have antitumor, antibacterial, and wound-healing activities. We previously reported that RJ enhanced the migration of human dermal fibroblasts and altered the levels of cholesterol and sphinganine in an in vitro wound-healing model in addition to regulating skin photoaging following exposure to ultraviolet-B radiation. We established an animal model of skin aging in the context of estrogen deficiency and assessed the antiaging effects of RJ on skin. To establish an in vivo model of skin aging, bilateral ovariectomies were performed in 12-week-old virgin female Sprague-Dawley rats. Induction of osteoporosis was confirmed through two-dimensional images of the trabecular bone in the left femoral necks using microcomputed tomography. The protective effects of RJ ovariectomy-induced skin aging were examined by determining the protein expression of type I procollagen and matrix metalloproteinase (MMP)-1. 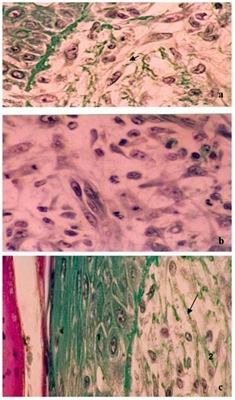 The collagen content and epidermal thickness of skin tissue were measured by staining techniques. There was a significant difference in weight between sham-operated and ovariectomized groups. Food efficiency ratio did not differ significantly among the groups. 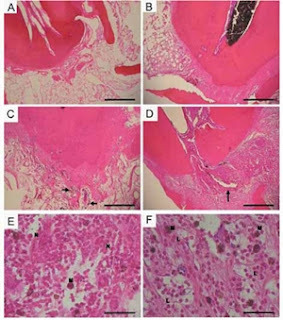 The level of procollagen type I protein was increased in the dorsal skin of ovariectomized rats fed with a dietary supplement containing 1% RJ extract, but the level of MMP-1 was not altered. In particular, the amount of collagen recovered was close to the normal level. RJ may protect against skin aging by enhancing collagen production in rats with ovariectomy-induced estrogen deficiency. Cadmium (Cd) is classified as an environmental pollutant and human carcinogen. Food is the major source of Cd exposure for the general population and cigarette smoking significantly adds to the body burden of Cd (Klaassen et al., 1999). 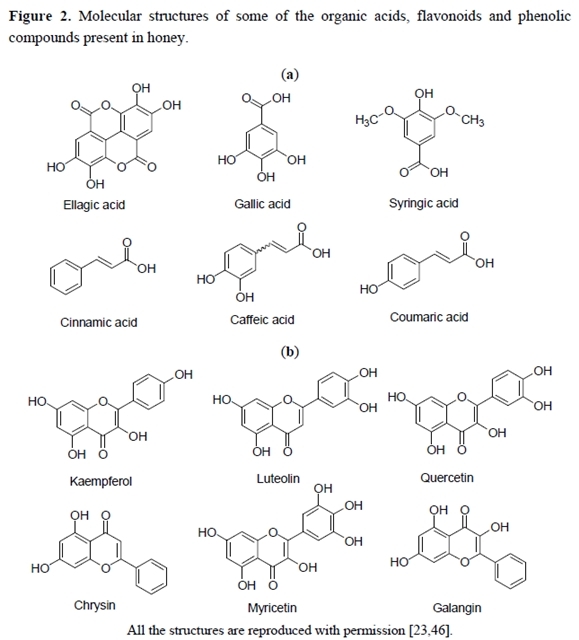 Caffeic acid phenethyl ester (CAPE), a biological active component of honeybee propolis extracts, has been used as a folk medicine with no harmful effects on normal cells. Here we investigated the beneficial effect of CAPE on Cd-induced renal damage in mice. Since renal damage induced by Cd (II) is related to oxidative stress, lipid peroxidation (LPO), protein carbonyl (PCO), superoxide dismutase (SOD), catalase (CAT) and glutathione (GSH) were evaluated. Moreover, the concentrations of Cd and zinc (Zn) in the kidney were analyzed. The intoxication of Cd (II) leads to the enhanced production of LPO and PCO, and the decrease of SOD activity and GSH level, probably due to the serious oxidative stress. However, the activities of CAT in the Cd (II)-induced group showed an elevated tendency, probably relating to an adaptive-response to the oxidative damage. 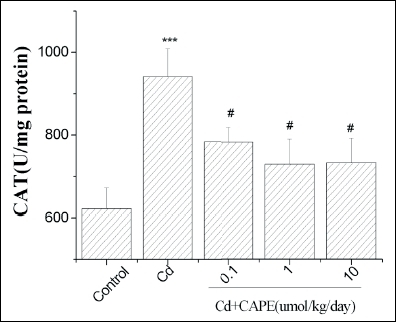 The co-administration of CAPE can attenuate the oxidative stress caused by the intoxication of Cd and restore the altered antioxidant defense system. Based on our data, it is proposed that CAPE may involve in the protection of renal damage induced by Cd (II) owing to its antioxidant capacity and anti-inflammatory effect. MRSA infections are a well recognized problem in everyday medical practice. Many of these infections involve the skin and can form abscesses. Occasionally, MRSA infections can become invasive and involve the central nervous system, bones, lungs and other body organs. Currently these infections have become resistant to antibiotics that previously were effective. A major concern of the medical community is that resistance patterns might spread to antibiotics in current use such as Vancomycin and others. Honey has been used for wound healing for over a thousand years. 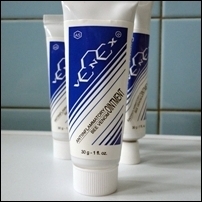 In ancient Egypt and Greece it was used in various types of wound poultices... Most of the honey used in wound care (Manuka) comes from Australia and New Zealand and it originates from plants of the Leptospermum species. Our in vitro testing, in which we impregnated sterile paper discs with five different honey varieties and the antibiotic Vancomycin, indicates that the varietal honey from Northwest New Mexico has favorable bactericidal activity against MRSA... the organism, in this case MRSA, is killed as it is exposed to the substance. Vancomycin is the prototypical intravenous antibiotic used in the hospital setting for more serious MRSA infections. The hives are located in the vicinity of Farmington, New Mexico. 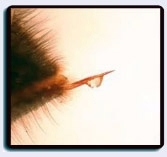 The principal honey flow is in late June through most of July. The honey is dark and apparently the nectar source is a wild drought-resistant weed that blooms every year at this time. There is very little exposure to cultivated fields such as clover. Given the favorable bactericidal activity, we propose to further investigate the use of this honey in superficial skin abscesses that are found to be positive for MRSA. Patients will be recruited from area Urgent Care Clinics, Emergency Rooms, and physician offices. FDA application is currently in progress. We think that further clinical investigation may provide another alternative treatment to conventional antibiotics for wounds that are infected with MRSA. There also may be other regional honey sources that could be tested for bactericidal activity against MRSA and other organisms. This approach may facilitate the reduced use of antibiotics and the inherent problem of resistant organisms. The AMERICAN APITHERAPY SOCIETY, INC. announced the date and location of the 17th Annual CMACC (Charles Mraz Apitherapy Course and Conference) which will be held at the lengendary Governor Hotel, in Portland, Oregon. - Frankenhauser points: to treat Lyme related bladder problems, pelvic/prostate/sexual dysfunction. Everyone who uses bee venom on domestic animals or humans must have an Anakit, Epipen or other medically approved "bee-sting kit," within immediate reach. The Anakit contains a pre-drawn syringe with epinephrine, an oral antihistamine and instruction sheet. The Epipen contains epinephrine in a self-injecting form. Should the patient experience a systemic reaction (usually within minutes) with airway restriction, I recommend to inject one third (1/3rd) of the epinephrine subcutaneously into the palmar (soft) side of the forearm (same depth as the bee venom injection). The wheezing will stop at the price of an agitated feeling in the patient. Now he/she should take the antihistamine (swallow the pill), which takes 15-20 minutes to work. During this time, a second injection with epinephrine may be needed. In 20 years of using bee venom, I never needed to use this procedure. However, I have always combined bee venom with procaine, which prevents most allergic reactions. Propolis Makes Good Root Canals, Better! Intracanal medication in pulpectomy therapy is used between appointments with the objective of reducing pain and inflammatory processes in pulp and periapical tissues. Propolis has been known as a natural antibiotic and has been subject of medical and dental research due to its therapeutic properties such as antibiotic, analgesic and anti-inflammatory effects. The aim was to carry out an in vivo evaluation of the periapical tissue response to propolis paste when used as an intracanal medication in the teeth of dogs after pulpectomy. 72 dog's incisors were selected for the experiment. After biomechanical preparation the root canal was filled with a corticosteroid-antibiotic preparation, experimental propolis paste, non-medicament (negative control) or non-pulpectomy at all (positive control). The medications were left inside the root canal for 7, 14 or 28 days. At the end of the experimental period histological sections were prepared and all laboratories processes for Harris hematoxylin and eosin staining was proceeded followed by the analysis using an optical microscope. Sections were classified according to a score representing the inflammatory events observed: the presence of polymorphonuclear neutrophils, polymorphonuclear eosinophils, lymphocytes and plasma cells, macrophages and/or giant cells, fibrous condensation and abscesses. There were statistically significant differences between the tissue reactions caused by the two substances being tested, after different experimental periods, with the periapical tissue that was in contact with propolis paste exhibiting fewer inflammatory reactions in comparison to corticosteroid-antibiotic preparation. The low tissue responses from propolis paste suggest that this material could be considered as an option for root canal medication after pulpectomy... Furthermore, the propolis paste was more effective at controlling the inflammatory response over the 28-day experimental period.